Ebrahim Hamid, AFP | A Sudanese boy waves a national flag during a rally demanding a civilian body to lead the transition to democracy, outside the army headquarters in the Sudanese capital Khartoum on April 11, 2019. Sudan’s ruling military council on Friday announced that it would not extradite Bashir to face allegations of genocide at the international war crimes court. He might instead go on trial in Sudan. The council also promised the country would have a new civilian government, a day after the armed forces overthrew President Omar al-Bashir, but the proposal was immediately rejected by the main protest group. The council, which is now running Sudan under Defence Minister Mohammed Ahmed Awad Ibn Auf, said it expects a pre-election transition period it announced on Thursday will last two years at most or much less if chaos can be avoided. Friday’s announcement of a civilian government by the head of the military council’s political committee, General Omar Zain al-Abideen, appeared aimed at reassuring angry demonstrators who took to the streets to warn against imposing army rule after Bashir’s overthrow. But the main protest group rejected the proposal, saying the military council was “not capable of creating change”. 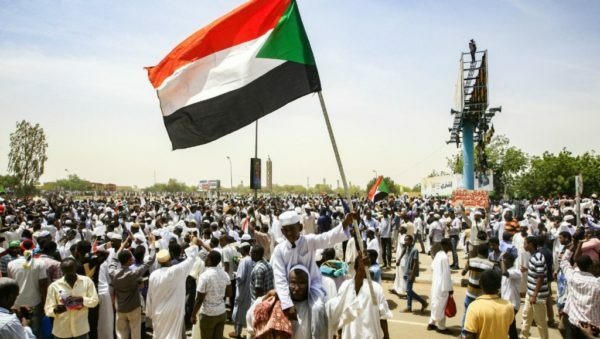 In a statement, the Sudanese Professionals Association restated its demand for power to be handed immediately to “a transitional civilian government”. Abideen pledged that the military council would not interfere with a civilian government. However, he said the defence and interior ministries would be under the council’s control. The military council is headed by Ibn Auf, who was Bashir’s vice president and defence minister and is among a handful of Sudanese commanders sanctioned by Washington for his role during the atrocities committed in the Darfur conflict. Abideen said the military council had no solutions to Sudan’s crisis and these would come from the protesters, adding that it plans to hold a dialogue with them. “We are the protectors of the demands of the people,” he said. “We are not greedy for power. The council said it did not invite Bashir’s National Congress Party to join the dialogue because “it is responsible for what happened”. It pledged to work with the new government to solve Sudan’s massive economic problems but warned protesters that the army would not tolerate unrest. “Protest is guaranteed, but it is forbidden to infringe on the freedom of others. We will be very decisive with whoever closes a road or a bridge,” Abideen said. Earlier on Friday, thousands of demonstrators camped outside the defence ministry to push for a civilian government, defying a curfew and calling for mass Friday prayers. The demonstrators oppose the decision to set up a transitional military council and have vowed to continue protests until a civilian government is established. At the defence ministry compound, large tents were put up and people brought food and handed out water as the crowd swelled. Ahmed al-Sadek, a 39-year-old trader, said he had not slept at his home since the sit-in began on Saturday. Bashir, 75, had faced 16 weeks of demonstrations sparked by rising food costs, high unemployment and growing repression during his three decades of autocratic rule. Ibn Auf said on Thursday that Bashir was being detained in a “safe place” and the military council – which he is heading – would run the country. Sudanese sources told Reuters that Bashir was at the presidential residence under “heavy guard”. But the council affirmed on Friday it would not extradite Bashir, who has been indicted by the International Criminal Court in The Hague. Bashir is facing an arrest warrant over allegations of genocide in Sudan’s Darfur region during an insurgency that began in 2003 and led to the death of an estimated 300,000 people. He denies the allegations.